1. Never give up. Today is tough, tomorrow will be bigger challenge, but day after tomorrow will be sunshine there. 2. When you have 1 million dollar you are a lucky man. When you have 10 million you have a higher responsibility and headache. 3. When I behave according to me I feel very happy and get good results. 4. You should learn from your competitor but should not copy. You finish when you copy. 5. Patience is the most important thing you must have. 6. My work is to make money and let other to make money. I am spending more money so other people could earn because every one can’t spend money. So I help others and it is a headache. 7. 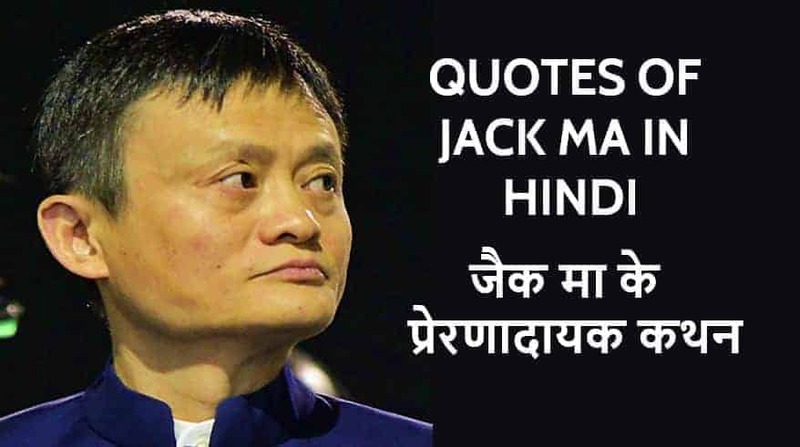 If Alibaba is not able to be such as Microsoft or Wallmart, I will repent for the rest of my life. 8. When I left China, I had been told it is world’s most prosperous and happiest country. Then I reached Australia, I came to know that what I have been told was fake. Then I started to think differently. 9. Alibaba is an ecosystem which helps other small business to grow. 10. I don’t want that people in China have a lot of money with a small thinking. 11. Earlier no one wanted to believe on Jack Ma. 12. You just need good not the best colleague in your team. 13. We never have shortage of money. We always have a shortage of people who see dreams and do everything for it. 14. Never do competition on price. Always do competition on service and innovation. 15. If you never tried, you will not be able to recognize opportunity in that. 16. You never know that you can go terrific things in life. 17. You need to make customer smart. No e-portal can sell good in low price, but sell a product at higher price buying products offline. 18. We just need a good team. If we know how to work, one team member is equal to 10 members of your competitor. 19. It does not matter that I failed, at least I tried to understand the concept of it. 20. If customer loves you, then the government has to love you.